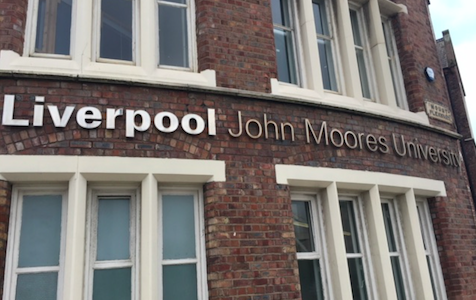 As regular readers of this blog will know, I have been teaching every Tuesday at Liverpool John Moores University (LJMU) – since September. We are approaching the end of the semester and the Christmas break. Tomorrow is the last Tuesday of term, but not a day to put the feet up. Tomorrow is a big day – for my students and for me. The second half of the semester has been spent working towards the end of module assessment which takes place tomorrow. In true Apprentice-style, the students – in their teams – will make a 12 minute pitch to the panel of judges (which includes me) of the campaign they have been developing. They have assumed the role of an agency over the last six weeks, using the theory and practical examples we have highlighted in lectures and now have to bring it all together with a portfolio of materials alongside their pitches. It has been an immensely enjoyable experience working with my LJMU colleagues and the students, who are full of great ideas, energy and impressive maturity (most of the time! ), especially when I remember what my peers and I were like at their age (second year undergraduates). It has been a huge pleasure teaching them and working with them. I hope it goes well for them all tomorrow and they convey all their hard work when they get on their feet. The assessment takes place a stone’s throw from the building in which I was born. Tomorrow, I will be the expectant parent, just hoping everything goes ok – I may be sitting behind a desk but inside I will be pacing the floors.